The Sonoran Arts League has announced that “Sedona Snow” will grace the cover of the 2018 Hidden in the Hills artist directory. With over 120 pieces of art submitted it was a difficult decision to make. The League thanks all those who submitted their work. 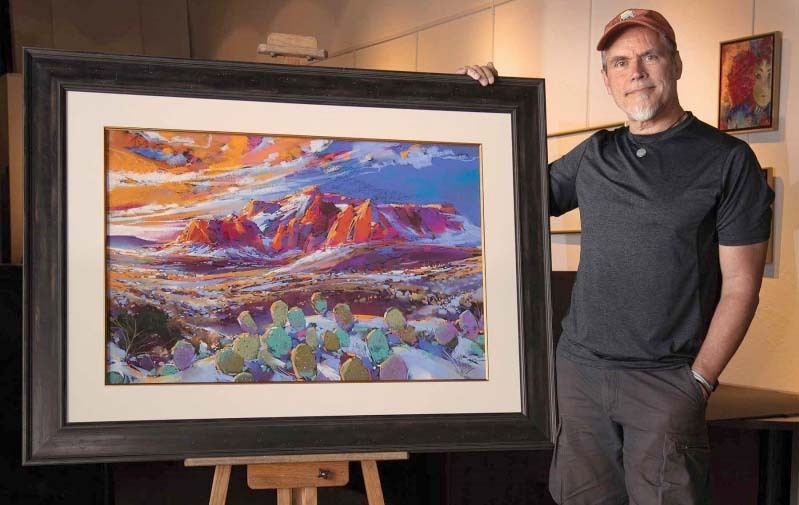 “Sedona Snow” was created by pastel painter Michael McKee. Originally from Cleveland, McKee spent many years working as a portrait artist, illustrator, graphic designer, and creative director. He has lived in Arizona since 2013 creating landscapes and abstract expressionisms with fresh, bold shapes and rich color. This year’s Hidden in the Hills features 173 artists in 44 studio locations throughout the communities of Cave Creek, Carefree and North Scottsdale. The free, self-guided tour will take place Friday, Saturday and Sunday, Nov. 16-18 and Nov. 23-25.